Manage your Google Docs documents. Developer website: Web Lite Solutions Corp.
Is there a better alternative to Docs Console? Is Docs Console really the best app in Word Processing category? Will Docs Console work good on macOS 10.13.4? 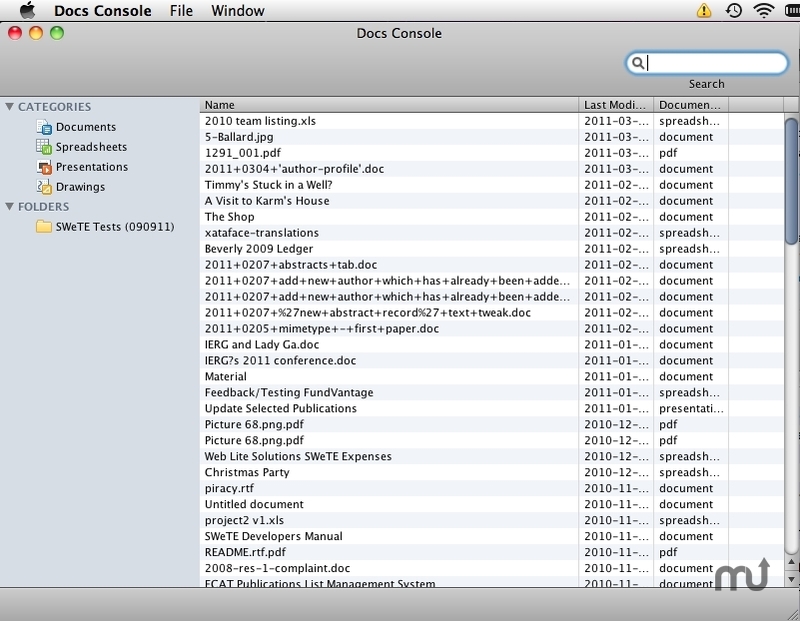 Docs Console... A desktop application to manage your Google Docs documents. You can open files directly in Google Docs from your Desktop. You can also browse, search, and open files already in GoogleDocs using this Native Desktop application. Use this app as your default application for opening MS Word and Excel documents so that they open in GoogleDocs rather than a RAM hogging Office application. Docs Console needs a rating. Be the first to rate this app and get the discussion started!